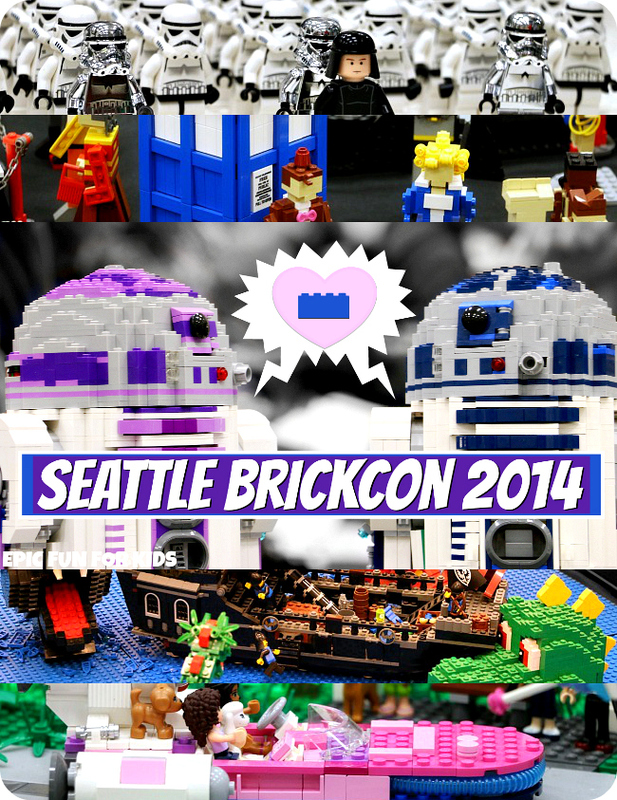 We saw some amazing LEGO creations at Seattle BrickCon 2014! 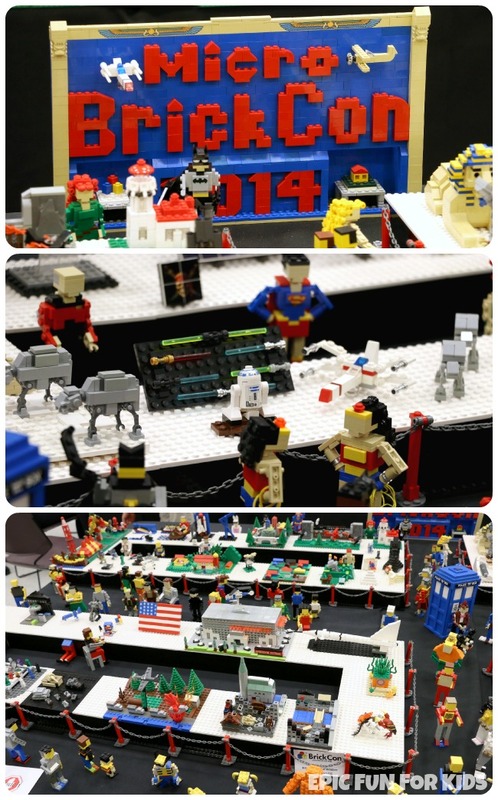 It was a great place to find inspiration for our own LEGO builds, especially because you could try them out right away in a hands-on building area at the convention. 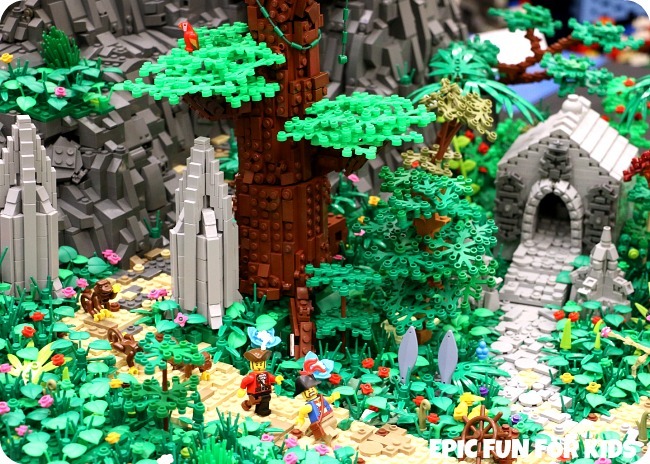 We made a fun video of what we saw there so you could be inspired, too, and I also wanted to share some of our photos so you could get a closer look at these creations. 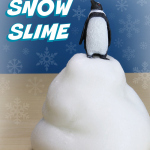 First, here’s the video. 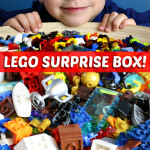 My favorite part is the motorized marble contraption. And, of course, the life-sized, remote-control R2-D2! 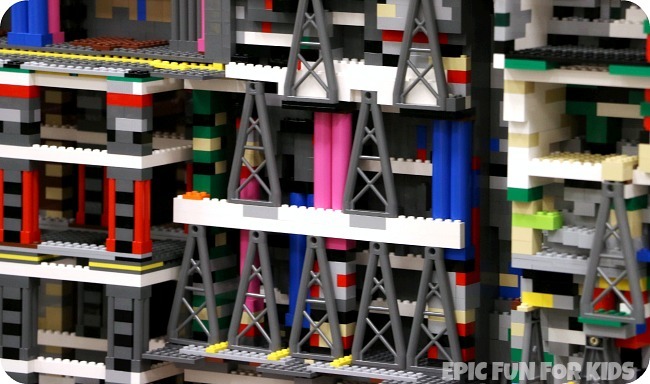 One of the things I noticed a lot of at the con was people mixing bricks from other LEGO themes — mainly LEGO Friends — into the shape of sets from other themes. 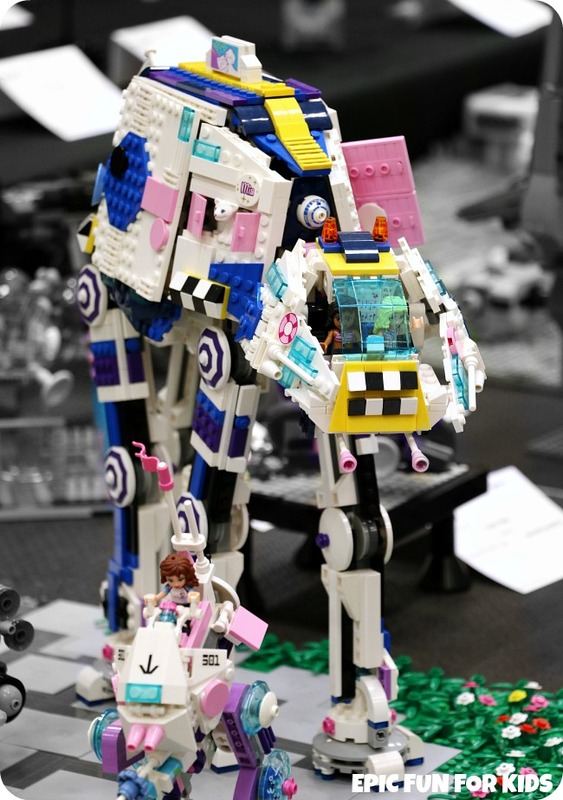 This LEGO Friends-style AT-AT was so cool! 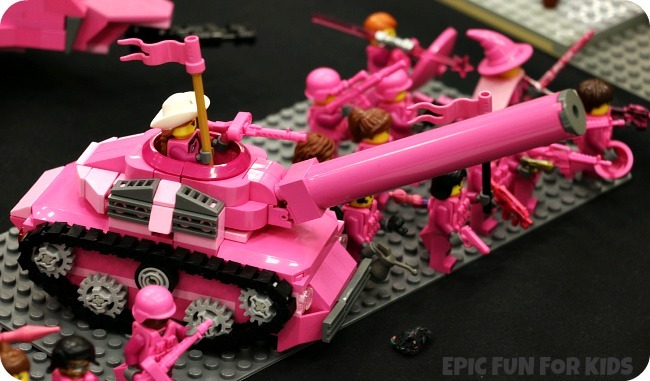 There was also this wild lipstick-pink tank and minifigure army…this is only showing about half of the collection! 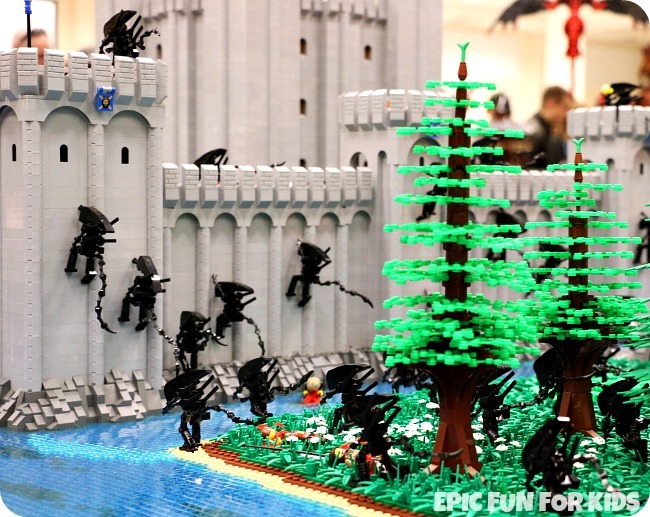 Here’s a totally different way to mix themes: an alien invasion of a beautiful LEGO castle! We also saw lots of Doctor Who references, including this big Tardis. 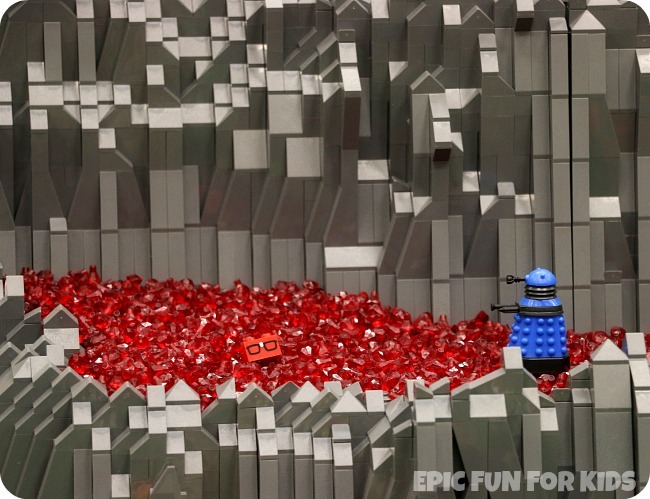 And this Dalek in a lava pit filled with LEGO rubies (glad I’m not the only one who can’t resist loading up on those at the Pick-a-Brick wall). 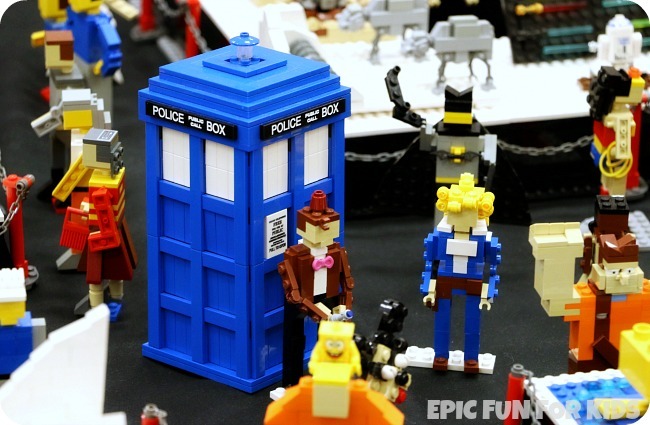 And here’s a little mini Tardis with a mini version of the Eleventh Doctor, complete with a fez. 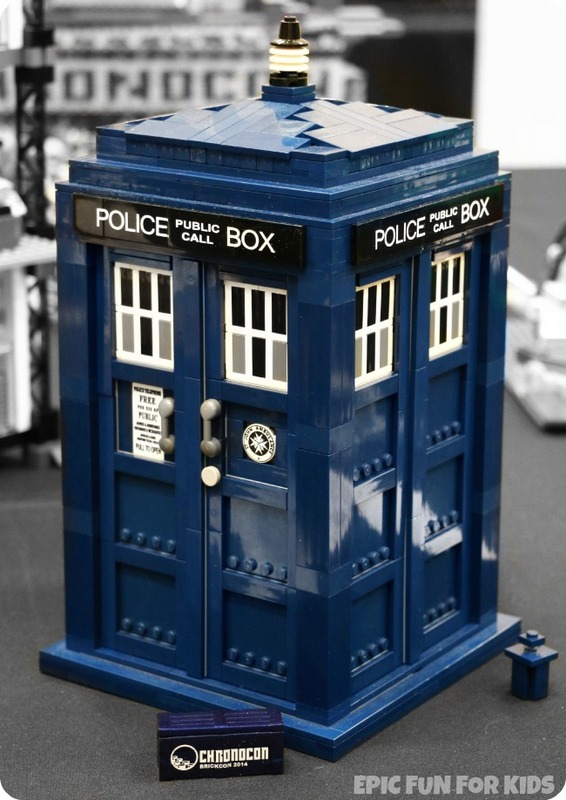 That wasn’t the last Tardis we saw, either! 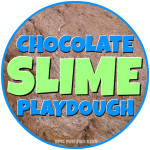 (There’s another one in the video, with a little blinky light on top.) 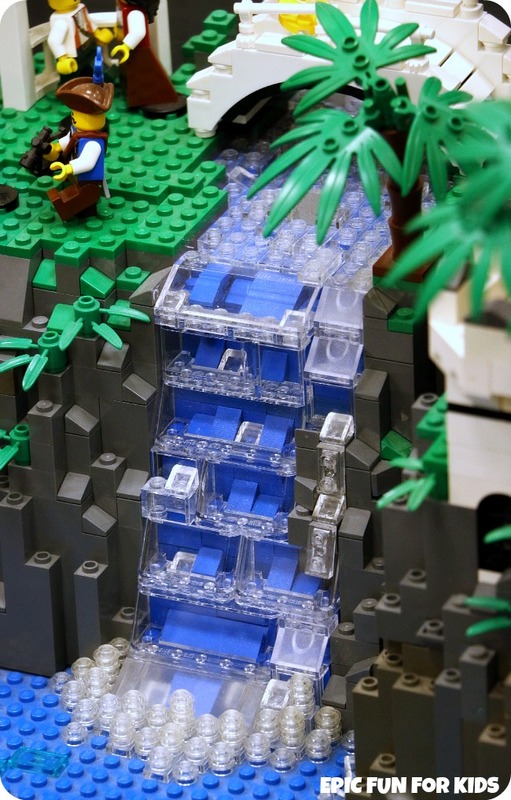 But it was possibly my favorite, because it was part of this Micro BrickCon Display. 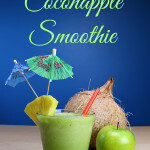 Check out all the details! 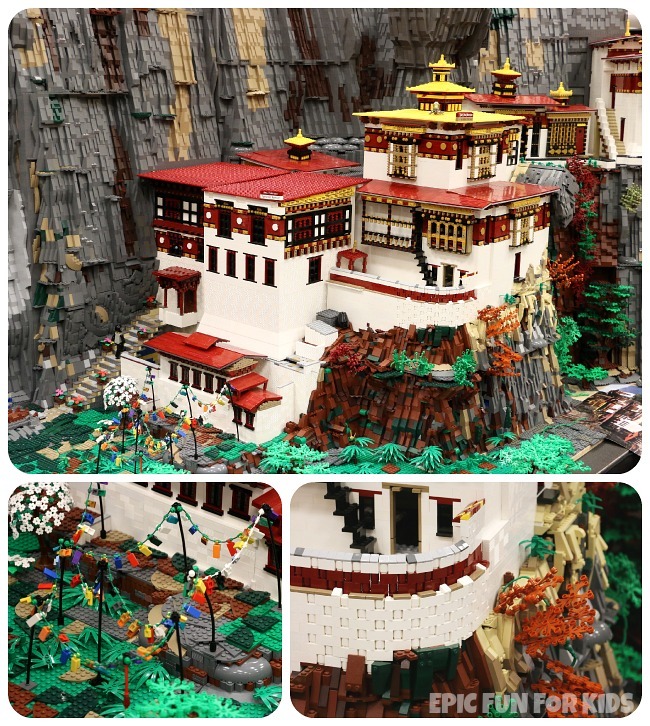 I was also very impressed by this beautiful monastery in the Architecture section. 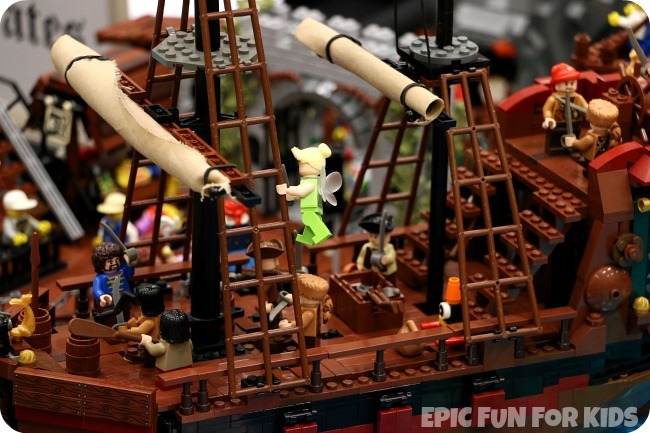 Another well-represented theme was pirates: pirate ships, pirate islands, and even a theme-park-style Never Neverland, complete with Tinkerbell and a flying Peter Pan. Here’s part of a beautiful pirate paradise. I thought this waterfall in one of the pirate displays was lovely. It was fun to spot some favorite characters. 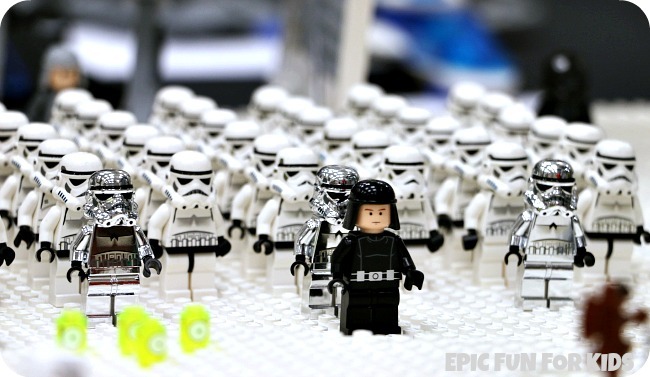 Like an army of stormtroopers standing at attention, lead by some cool chrome troopers. And a giant Unikitty to go along with a giant Benny. 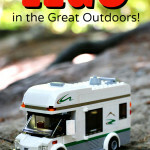 Another large and very fun display was a Boy Scout summer camp. 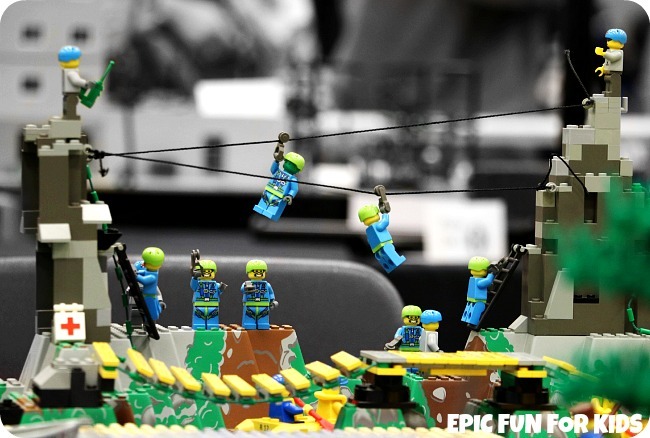 I especially liked the zipline. 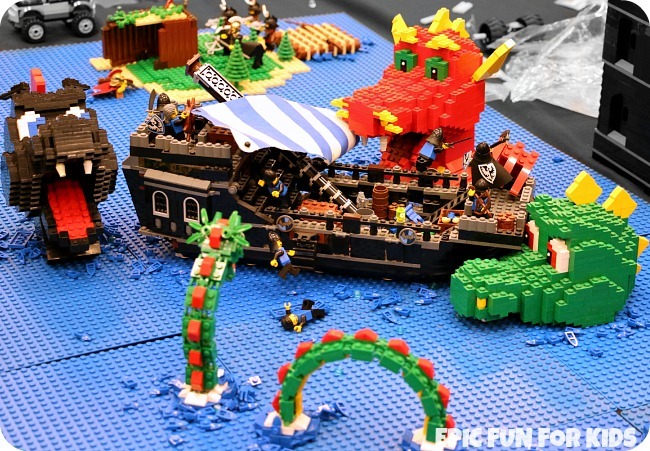 And this scene with sea monsters attacking a viking ship was really fun. 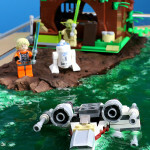 The sea monsters look so cute even as they’re destroying the ship! 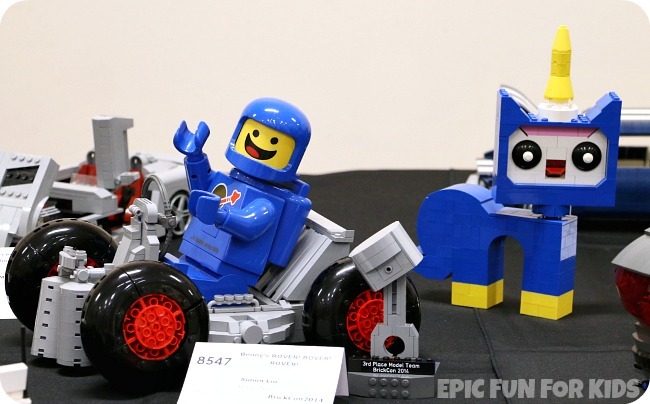 I hope you enjoyed this glimpse into what we saw at BrickCon! 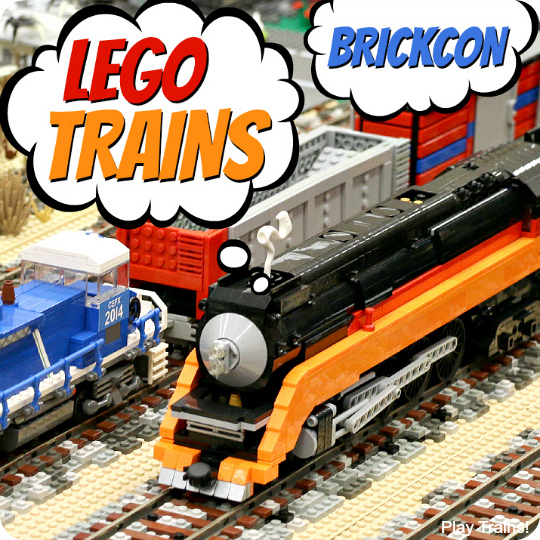 If you’d like to see more, we covered the LEGO trains at Seattle BrickCon 2014 over on our other blog, Play Trains!